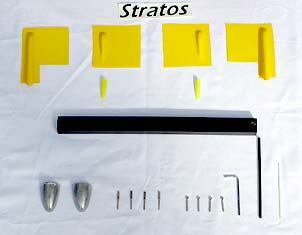 Stratos 6 brings new developments to the Stratos family of F3B all-moulded models based on the extremely successful Tsunami design incorporating the changes necessary to meet the current F3B rules. The two-piece wing joined with 13x22mm carbon joiner has got 7.9% HQW profile with 1.75% camber to keep the latest "fashion" trend of low cambered & extremely thin sections. 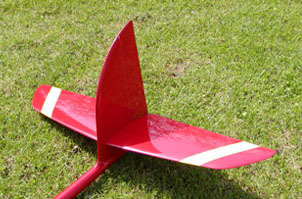 The wing (as well as the entire model) is manufactured in a highly accurate, CNC milled mould. The multi-layer sandwich is based either on finest GFC or CFC/Herex materials. The UMS rowing as the main spar allows to achieve excellent structural strength even with such a thin wing section. The fuselage made of CFC - AFC materials ensures great strength. 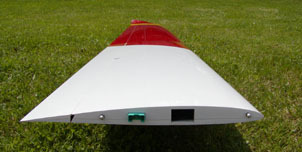 The servo extension leads fitted with JR connectors are already installed in the wing and fuselage. The model is manufactured in a variety of colour schemes; custom made designs possible on request. 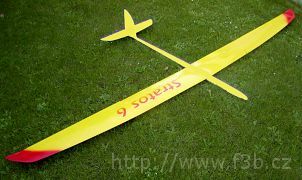 The wingspan is 3270 mm, the length 1500 mm, all-up weight approx. 2050 g.